A solid Sunflash Crystal Opal with bright yellow flashes from Lightning Ridge, Australia. This outstanding and bright custom design ("Gardenia" by Marco Voltolini), has alternated frosted and polished facets, which resemble yellow petals on a flower. Natural solid white opals 10x8 (set of 2) 2.23ct - YouTube. DETAILS:No0695 Natural solid white opals 10x8 (set of 2) 2.23ct. All opal sold here is genuine solid Australian opals. About opal colours photographs:The colours of an opal shown in photographs vary in different lighting and. All opal sold here is genuine solid Australian opals. About opal colours photographs:The colours of an opal shown in photographs vary in different lighting and. Stone Natural solid white crystal opal. 20mm x 15mm OVAL CABOCHON CUT. WHITE WITH GOOD FLASHES OF COLOUR. Beautiful natural rich white opal with good colour, cut & polish. NATURAL OPAL GEMSTONE. Natural solid white / light opal loose 7x5mm set of 4 - YouTube. DETAILS:(No0728) Natural solid white / light opal loose 7x5mm set of 4. All opal sold here is genuine solid Australian opals. About opal colours photographs:The colours of an opal shown in photographs vary in different lighting and. A “Crystal opal”. Solid light crystal opal loose stones 3.56ct set of 12 - YouTube. Solid light crystal opal loose stones 3.56ct set of 12. All opal sold here is genuine solid Australian opals. Natural solid light crystal opal. All opal sold here is genuine solid Australian opals. Solid white opal loose stones 3.05ct set of 21. About opal colours photographs:The colours of an opal shown in photographs vary in different lighting and the angle of the shots. All opal sold here is genuine solid Australian opals. Solid white / light crystal opal loose stone 0.73ct set of 6 - YouTube. Solid white / light crystal opal loose stone 0.73ct set of 6. Natural solid light crystal opal. OPAL gem box with 10 Welo Opals, 1.30 carat total (Ethiopia) £7 per gem! Opal (a mineraloid) is a hydrated amorphous (without a clearly defined shape or form) form of silica (SiO2·nH2O); its water content may range from 3 to 21% by weight, but is usually between 6 and 10%. COLOR: Rainbow. SIZE: 10 x 8mm. SHAPE: Oval. HARDNESS: 6-6.5. LUSTER: Fine. All opal sold here is genuine solid Australian opals. Natural solid white / light crystal opal loose stone 5mm round 8p - YouTube. About opal colours photographs:The colours of an opal shown in photographs vary in different lighting and. We test all diamonds and gold/silver/platinum before we list it. These "dark spots" are not on the jewelry. All opal sold here is genuine solid Australian opals. Solid white / light opal crystal loose 9x7 1.55ct 2 pieces. Solis white / light opal crystal loose 9x7 1.55ct 2 pieces. About opal colours photographs:The colours of an opal shown in photographs vary in different lighting and. Natural solid light crystal opal loose 6x4mm pear 6p 1.56ct - YouTube. Shape Pear - cabochon. DETAILS:No0505Ae Natural solid white / light crystal opal loose6x4mm pear 6p 1.56ct. All opal sold here is genuine solid Australian opals. All opal sold here is genuine solid Australian opals. Natural solid white / light crystal opal loose stone 2pieces - YouTube. DETAILS:No0458e Natural solid white / light crystal opal loose stone2pieces. Pear shape - Cabochon. SOLID WHITE / LIGHT OPAL LOOSE STONE 1.27CT SET OF 3. About opal colours photographs:The colours of an opal shown in photographs vary in different lighting and. All opal sold here is genuine solid Australian opals. All opal sold here is genuine solid Australian opals. Andamooka and Mintabie. 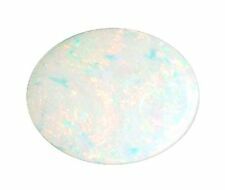 SOLID WHITE/LIGHT OPAL LOOSE STONE 3.39CT SET OF 2. White with yellow and orange / white body tone. Natural solid white opal - 2 pieces. Andamooka and Mintabie. They are not as rare as black and boulder opals. All opal sold here is genuine solid Australian opals. Oval - high Cabochon. SOLID WHITE OPAL LOOSE STONE 7.85CT. Natural solid white opal 7.85ct. 2.25 ct Gem Solid White Opal from Coober Pedy, Australia. This opal from Coober Pedy has a multicolour, fiery and sharp pattern on a milky/white base. The stone has a high quality finish with a regular freeform cut, and perfect polishing. Ready to set. Weight.2.25 ct. SHAPE: Marquise. CUT: Cabochon. COLOR: White. Photo is sample of what you can expect to receive. You will receive a generous amount. HARDNESS: 6-6.5. LUSTER: Fine. 4.20 ct Bright, genuine light semi-crystal opal from Lightning Ridge, Australia. Genuine Australian solid semi-crystal opal from Lightning Ridge. Nice pattern with bright flashes of green and yellow on a cream base tone. Lightning Ridge. Weight.4.20 ct. Video will open in a new window[isdntekvideo]. 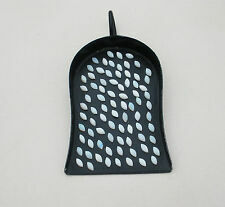 Shape Pear - Low cabochon. All opal sold here is genuine solid Australian opals. About opal colours photographs:The colours of an opal shown in photographs vary in different lighting and. DETAILS:(No0404e) Natural solid white / light opal loose stonepear shape set of 6. 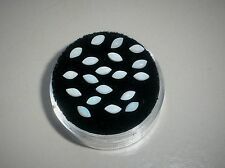 11mm ROUND CABOCHON CUT. WHITE WITH GOOD FLASHES OF COLOUR. Beautiful natural rich white opal with good colour, cut & polish. NATURAL OPAL GEMSTONE. You will find us located in the heart of the busy mining town of Lightning Ridge New South Wales, approx. 700 kms or 320 miles, north west of Sydney, Australia. Lightning Ridge, or ‘the Ridge’, as it is fondly known by locals, is world famous for the largest production of Black Opal in the World! Macro lens used to take images. 1.76 ct. Natural solid loose opal from Coober Pedy, Australia. Genuine Australian solid white opal from Coober Pedy, with bright flashes of green and yellow. Weight.1.76 ct. Size (mm).10.5 x 7.3 x 3.4. 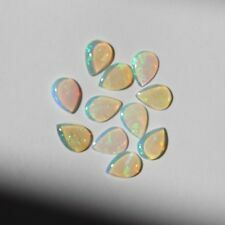 Natural solid light opal pear 12x8 and 6x4mm 1.54ct set of 2 - YouTube. DETAILS:No0690 Natural solid light opal pear 12x8 and 6x4mm 1.54ct set of 2. All opal sold here is genuine solid Australian opals. 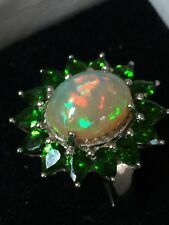 5.7crt Australian Opal Gem Coober Pedy - YouTube. Amazing Bright Finished 5.7Crt Opal GEM From Coober Pedy - Australia. Beautiful Bright Colors on This TOP QUALITY Opal Stone ! Opals being a difficult gems to photography. Solid white / light crystal opals 7x5mm loose stone 0.80ct (2pieces). All opal sold here is genuine solid Australian opals. Pear - cabochon. About opal colours photographs:The colours of an opal shown in photographs vary in different lighting and. All opal sold here is genuine solid Australian opals. Solid white / light crystal opal loose stone 4.00ct - YouTube. DETAILS:(No0654we) Natural solid white / light crystal opal loose stone4.00ct. About opal colours photographs:The colours of an opal shown in photographs vary in different lighting and. SHAPE: Marquise. CUT: Cabochon. COLOR: White. APPROX WEIGHT: 50 tcw. Photo is sample of what you can expect to receive. You will receive a generous amount. LUSTER: Fine. Solid light crystal opals 13x8mm & 6x4mm loose stone set of 2 - YouTube. Solid light crystal opals 13x8mm & 6x4mm loose stone set of 2. All opal sold here is genuine solid Australian opals. About opal colours photographs:The colours of an opal shown in photographs vary in different lighting and. All opal sold here is genuine solid Australian opals. Natural solid light crystal opal loose 8x6 1.13ct set of 2 - YouTube. Stone Natural solid light crystal opal. DETAILS:No0533-2Be Natural solid light crystal opal loose 8x6 1.13ct set of 2. Origin Coober Pedy, South Australia, Australia. White Opal: White Opal is found across a large area in South Australia and is mined mainly at Cobber Pedy. All opal sold here is genuine solid Australian opals. All opal sold here is genuine solid Australian opals. Natural solid light crystal opal loose 8x6 1.42ct set of 3 - YouTube. DETAILS:No0533-3B Natural solid white / light crystal opal loose 1.42ct set of 3. All opal sold here is genuine solid Australian opals. 7mm (6.85- 6.97mm) x 7mm (6.85- 6.97mm) Thickness 1.77mm - 1.87mm. a “Crystal opal”. Solid white /light opals 7mm loose stone 1.15ct (2pieces) - YouTube. All opal sold here is genuine solid Australian opals. About opal colours photographs:The colours of an opal shown in photographs vary in different lighting and. DETAILS:(No0469e) Natural solid white / light crystal opal loose stone. A “Crystal opal”. Solid light crystal opal loose stones 1.33ct set of 6 - YouTube. Solid light crystal opal loose stones 1.33ct set of 6. All opal sold here is genuine solid Australian opals. Natural solid light crystal opal. All opal sold here is genuine solid Australian opals. About opal colours photographs:The colours of an opal shown in photographs vary in different lighting and. SOLID WHITE / LIGHT CRYSTAL 4.6MM - 4.7MM OPAL LOOSE 2 PIECES - YouTube. 1.51 ct. Natural gem Semi-Black Opal from Lightning Ridge, Australia. Genuine semi-black opal from Lightning Ridge, Australia. Highly polished (back included), ready to set. Lightning Ridge. Weight.1.51 ct. Size (mm).11.5 x 6.9 x 3.1. SHAPE: Oval. COLOR: Blue. CUT: Cabochon. Photos are enlarged for better viewing. LUSTER: Fine. All opal sold here is genuine solid Australian opals. Shape Pear - cabochon. Natural solid light crystal opal loose stone 2.66ct set of 11 - YouTube. About opal colours photographs:The colours of an opal shown in photographs vary in different lighting and. Origin Coober Pedy, South Australia, Australia. Transparency Opaque. they have because of their dark body colour that ranges from light grey to dark black. Their rarity makes them. Colour Green and blue. Shape Freeform - Cabochon. Natural solid light crystal opal 3.05ct - YouTube. About opal colours photographs:The colours of an opal shown in photographs vary in different lighting and. DETAILS:(No0467e) Natural solid white / light crystal opal loose stone. 2.29Ct ELECTRIC MULTI RAINBOW FLASHY 3D HONEY COMB PATTERN OPAL 100% NATURAL!! !